Many foreigners who live here escape for a while into their living rooms and watch cheap DVD’s, but I find it so much more relaxing and productive to engage this city through its parks and places of beauty. People’s Park (???? ) is the foremost park in the city and there’s always a colorful mix of Chengdu residents here. Interestingly enough, the crowds tend to stick to a few parts of the park: the chess players are in the southeast corners, the musicians take over the middle, the east side is the domain of the candy and souvenir hawkers, and the west end (my personal favorite) is where a large tea house sits peacefully in the middle of the park’s lake. Enjoying a boat ride for two around the lake is a great way to spend an afternoon. Chunxi Lu (??? 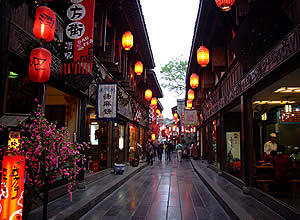 ), being the main shopping strip in Chengdu, attracts crowds of over a million shoppers and spectators on weekends. I know I specifically mentioned solitude, but bear with me: there is something truly isolating and unique about sitting on the steps of the central plaza beside the bronze figurines, watching the crowd ebb and flow. I feel both the vertigo of so many personalities coalescing and disappearing before my eyes, and the solace of being alone amidst the crowd. Try it out. Near poet Du Fu’s memorial cottage is one of the quietest and least visited parks in the city, called Huanhua Stream (???) . Du Fu’s cottage and park has become more of a tourist attraction over the years, but his poems and personality truly represent what this city once was: a place of emotion, thought and exile, before twenty years of economic growth transformed China. It served as an escape from the harsh realities of the nation’s capital far away. Read Du Fu’s description of his home and how he was forced, due to his poverty, to chase away urchins and serve his friends a measly two eggs, before walking along the stream that he sat by while composing his poems. Here are two of my favorites, one poem about a guest arriving at his cottage, and another of a violent storm tearing the thatched roof. If you do decide to fly a kite from the steps of Tianfu Plaza (???? 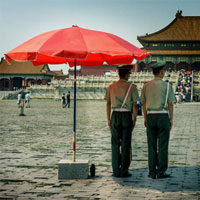 ), right beneath the largest statue of Mao Zedong in China, you might not be able to do it alone. Something about kites in China will attract the very, very young and the very, very old. Wizened old Revolutionaries still wearing Mao-era blue suits will come up and inspect your technique and toddlers wrapped up like the Stay-puff Marshmellow man will demand to hold the kite for a second. This is one way to get away from the craziness and engage the people — and the city — in a joyful way. I love to listen to the local musicians play traditional Sichuanese tunes and perform opera beneath the South People’s Road flyover (???????). They play every night and the crowd is always respectful and appreciative. Most of the performers are from the outskirts of town and they play for migrant workers, under-employed laborers, and old school locals who miss their hometowns. The music they play is the old style spoken word myth handed down for generations. Come here and see the cultural legacy of the local Chinese that has lived on for thousands of years. It’s a treat. At night it’s not a place for solitude, and it might not be the “real deal” with it’s rebuilt buildings, but Jinli (??) sure is pretty and the snacks are delicious. Red lamps strung from one end of Jinli to the other give just the right amount of lighting to take one away from the traffic and bustle. There are performers, vendors, dozens of shops, and a long strip of local snack specialty shops toward the end of the street as well as several western-style bars, a silk shop that makes shawls and skirts by hand (! ), and dozens of others. The street performers, including musical acts and painters, sculptors, and magicians, are very impressive. Jinli was recently expanded and is now almost twice as large as previously. If you really need a break, head to the Tibetan district of Wu Hou Temple (??? )and talk with monks, lamas, or nomads down from the Himalayas. This is an entirely different culture. With different faces, different gazes, different clothes, and they are as curious about you as you are about them. Of course, these are Tibetans down from the mountains, so you might want to take a trip to their home if you want to enjoy the real Tibet, but you can hear their music and smell yak butter and incense for an afternoon and get transported away. Take a bus to Flower Town (??? )about 15km southeast of town and enjoy a day of fresh air in Chengdu’s largest Flower market. If you still don’t want to go home after buying armfuls of peach, plum, cherry, and assorted other blossoms, you can also stay here for a night at one of the dozens of bed and breakfast spots that the locals have opened up to supplement their flower-selling businesses. These bed and breakfasts are not advertised as well as they could be (especially for foreigners), but if you take a guide/translator or ask around, you can find great places for cheap. My suggestion is to get to Flower Town (bus 56 from Jiu Yan Bridge) and then walk around. You can’t take three steps without bumping into a B&B. Visit Longquan (??) in the spring to enjoy the peach blossoms for which this little town (15 minutes from Chengdu) is famous for. Longquan is far enough from the city to be “out there” — you will probably be a curiosity for the locals, who don’t get that many foreigners coming through town. But what they have down there is beautiful: a huge man-made lake surrounded by hundreds of peach trees and dotted around the lake are petite tea houses. To get to Longcuan, go to the Traffic Hotel in town and ask for the bus to Longquan, they will guide you there. Perhaps my favorite: an afternoon at the Taoist Temple Qingyang Gong (???) listening to the monks chant. 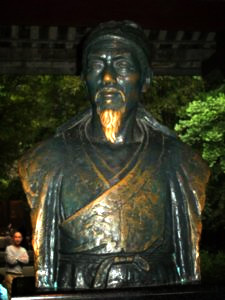 Nearby Chengdu is Qing Cheng Mountain, considered by many to be the birthplace of Taoism in China. Monks from that mountain came down to the city over time and built this temple to help spread their philosophy of the Way and offer up a different path to the people of Sichuan and Chengdu. There is a small tea house here where you can read a book or you can just sit in silence under the willow trees or in one of the many pavilions. No one will bother you and everyone seems to be smiling. 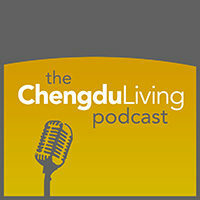 For more information on places that we enjoy in Chengdu, read our brief guide. What do you think? Have any of your own favorites to share? Great list, I haven’t been to some of these places in years. The Tibetan area and chess at People’s Park are two of my favorites. Champagne Plaza (香槟广场), near Chunxi Road. In the summertime there are skateboard ramps setup amidst the busy shopping district and a lot of basketball players and musicians hang out in this area, too. Last year there was a skateboard competition there featuring China’s best. It was a blast. The most enjoyable place for me is just where good food is. Hahaha. Just tell the cabbie ” tihua’r yi tiao jie( the street of tihua’rs)” they will know what you want. haha. In the corner of the plaza which you can see the Champagne Plaza across the street, there is a very small spot called 协奏曲(“xie zou qu” in Chinese), french restaurant, they have real deal dessert. Most of time they just serve afternoon tea if you don’t have any reservation. Too long for a comment. Let’s make a top ten places to enjoy chengdu food another time. YOU! Xiao bai niang zi ! excellent post xiaobai, i love me some tihuar in the evening. I remember back in the day there was the Lao Ma Tihua spot where all the cabbies would go at night and it was good livin … i’ll check these places out and get my pig fat on. i love pig fat. 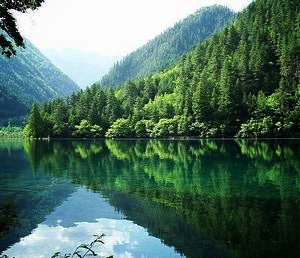 Hi, I love your site and enjoyed reading about Chengdu and you and your friends. Thank you for creating this. I will be visiting Chengdu with my husband and 3 kids (ages 6, 9 and 17) in late June or early July for just 2 or 2 1/2 days. We are coming from Ohio. My husband does business in Chengdu and he said we would love the Pandas. I wish we had more time but we don’t. In addition to the Pandas I wondered from your list whether you would recommend the top 3 for families? Or are there other things you would recommend for our crew? Thanks so much. I’d recommend Wuhou Ci (temple) and Jin Li (they’re right next to each other) and then the Panda Base and perhaps People’s Park for tea in the afternoon. Where is HeHuaChi market on this list? Spend an afternoon wandering through thousands of wholesale shops practicing your bargaining skills and working your Sichuanhua. With patience you’ll find some gems too. I still get comments on 4$ European soccer (football) jersey and shorts sets that I bought in 2006. Word to Hagglin’ Wang. The tea market is up there, too. And while we’re at it, where is Song Xian Qiao Antique market on this list? There are something about Longquan what I want to say…There is a very nice temple just nearby Longquan Lake which named Shijing Temple(石经寺）.That is much nicer than most of the temples in Sichuan,such as E’mei(峨嵋） even Wenshu Temple（文殊院）.It’s really enjoyable when you have a tea and a book,you surely can spend a sunny afternoon at there. Are the chess players good? Hopefully it isnt like NYC, where you pay to play… Im good/great at chess, but i dont want to pay for play. International chess, the really old school chess (pre 18th-century, Persian etc) has different rules. Also Jerry, it might be worth learning Chinese chess. It’s a really fun game and very similar to international chess. It plays faster though so it’s probably better suited to park play than international chess.